If you store your vehicle or live in rust prone areas, adding rust protection to the body of your car just makes sense. 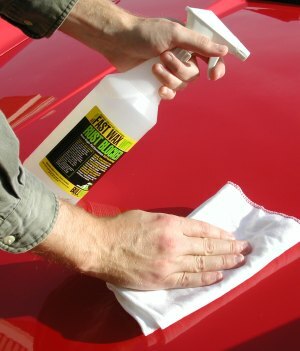 Fast Wax with Rust Blocker provides additional protection to the areas of your car that are the most visible. Fast Wax is easy to apply, just spray it on a clean car and wipe with a cloth rag to provide a professional looking shine. Large 32 oz. spray bottle is enough for six applications.